Sea, Sun & Shadows - Deconstructed. 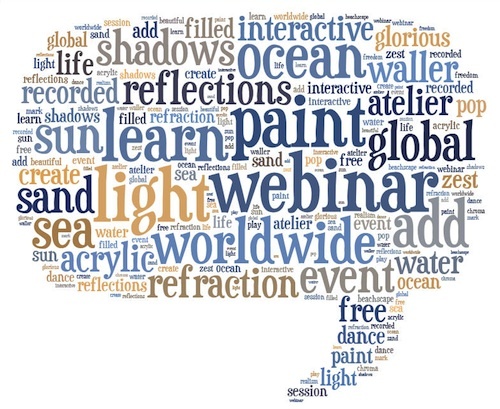 April 2014 webinar with Mark Waller. Recorded Footage Now Available For Download! 1 hour downloadable video tutorial. 4-5 stage painting process from start to finish. NOTE: Footage is NOT cinematic quality. This is an information focussed event, and if you purchase this download you will not be disappointed with the information! This was our first foray into recorded webcasting and we have learned from it. (Namely, we'll use a better camera next time). 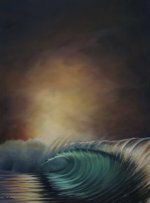 "Sea, Sun & Shadows - Deconstructed"
They will take time to download - please be patient - testing shows approx 35 minutes minimum for Part 1 and approx 20 minutes minimum for Part 2. However, it can take MUCH longer than this depending on your internet signal strength and bandwidth. 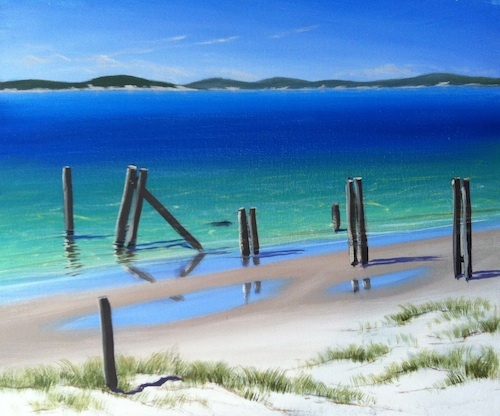 Learn to construct a painting - creating realism in your shadows and reflections on dry sand, wet sand and in the water. Brush Technique - Learn to control your brush to create distant sand dunes, dune grass and old jetty poles. Default Settings/Paint Recipes - An introduction to the concept of using sets of colours to help you get colour down fast. Blending Techniques - learn to create smooth transitions for maximum effect. Dimension - use reflections in wet sand and shallow water to create realism. 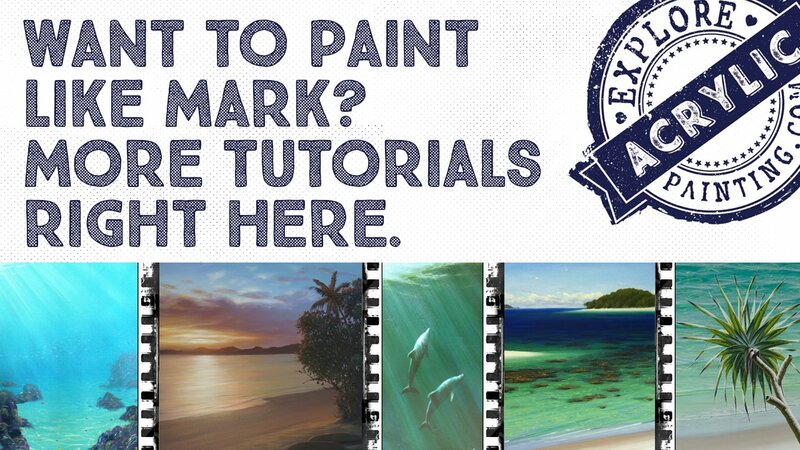 Atmospheric Depth - Mark shows how to easily push elements backwards or bring them forwards in your painting. Transitions in shadows - understand how to treat transitions in shadow colour from dry sand, through to wet sand and in water, to get the realism YOU want.Palette Set Up - Learn from Mark's set up and see how his processes enable him to get paint on the canvas with a minimum delay. Reflections - learn to clarify your shadows and reflections on dry sand, wet sand and in water. Refraction - a quick focus on this technique to give your water paintings light and zing. Tips - tips and tricks galore to improve your painting practice!!! NB: These are LARGE files and will take some time to download. They have been optimised for the best viewing size versus download time. If you have a strong broadband connection & data availability your downloads in total could take about an hour at a minimum. Our advice? Set it up to download overnight. 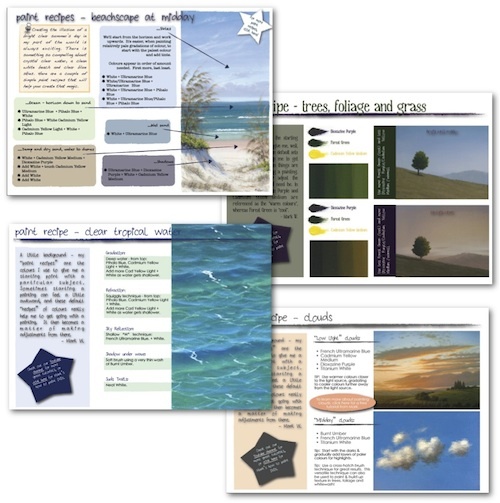 On purchase of your downloadable tutorial "Webinar Footage Sea, Sun & Shadows - Deconstructed" (Part 1 & Part 2)", you will receive via email (the one you have with your Paypal account) three download links which are specific to your computer. To download the files (your webinar tutorial is two files, the PDFs one file), simply click on the link(s). Your download(s) should start automatically. There is a time limit and attempt limit setting on the links (to keep out those nasty pirates!) but don't worry, if you need more attempts - which hopefully you won't - just contact us and we'll send you what you need. ***NB: Note for iPad owners**** - it has come to our attention that if you attempt to download the Webinar files to an iPad it may not let you save the files (you may only be able to view it). Therefore please use a different computer platform to download and save the file (ie your PC or laptop). 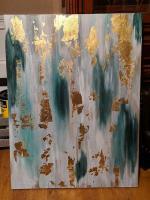 Happy Painting - Thanks for your support! Click here to find our more about Mark's live webinars. Or go one better and find out about our workshops!